I'm a sucker for an accent, especially a southern drawl. I'm sure my fondness for the sounds and pace of life in the south comes from my dad, born and bred in Pickens, South Carolina. I remember several visits to the south and being enamored with the gentle breezes, slower pace, and friendliness of the place. When it comes to reading, I gravitate towards books that transport me to my faraway places, such as Italy or Paris, but I've recently added the South to my collection of favorite reading destinations, thanks to my most recent read. 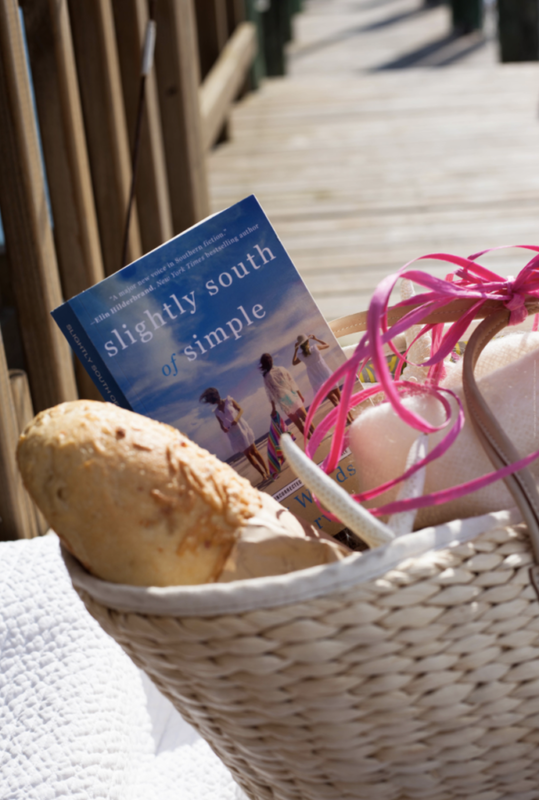 I'm excited to introduce my blog friend, and best-selling author, Kristy Woodson Harvey and her latest novel, Slightly South of Simple. Kristy is getting lots of buzz for this latest release -- part family, part design, part southern charm -- and it is well-deserved. I became acquainted with Kristy and her mom, Beth, through their super stylish blog, Design Chic. You will never catch me reading sci-fi, but I am captivated by a story about relationships. Kristy captures the voices of a mother and 3 grown daughters in an authentic way. I would describe Slightly South of Simple as a sunny day at the beach, with a few menacing, cloudy twists. I'm glad to hear this magnetic read is the first of a series on this family of strong, independent women, landing again in Peach Tree Bluff. I loved it! Kristy's book is a perfect Mother's Day gift for the women in your life! The next “major voice in Southern fiction” (New York Times bestselling author Elin Hilderbrand), Kristy Woodson Harvey, introduces her novel SLIGHTLY SOUTH OF SIMPLE, which chronicles the journeys of three sisters and their mother. This book was a gift to me and all opinions expressed are my own.